There are several things that you are going to want to try hard to keep away from your home, including pests and excessive moisture, both of which are examples of problems that can give homeowners some serious financial headaches if nothing is done immediately. It is often much better to be proactive when it comes to dealing with potential problems in and around your property rather than reactive, so here are some insights on what threats you need to contain and what action to take to keep the threat at bay. When you are trying to create a pest control and property maintenance strategy one of the key aspects to look at is the condition of your home and whether you are inadvertently inviting trouble to come looking for you. Insects and rodents need moisture to be able to survive and thrive so if your home is providing these conditions at any point, it is almost inevitable that pests will be attracted to this source. Carpenter ants, for example, never take up residence in healthy dry wood. If your window sills are rotten or damp, or there is a leak that you haven’t fixed which is creating excess moisture, these are a couple of scenarios that will prove very attractive to these pests. It is important that you fix any leaks or moisture problems as soon as you notice the issue. This will keep your home in better shape and dissuade pests from invading your property. Even a very small hole is enough of an entry point to allow a pest inside and mice are renowned for their ability to squeeze through what look like impossibly small spaces. If you have a rodent problem there are a couple of ways you can tackle the issue. You could consider using rodent smoke bombs to keep them away from your home in the first place. You can also carry out a thorough inspection of your home and check for any vulnerable entry points that need sealing. Remember that rodents can get through tiny spaces so if you see any glimmer of light around garage doors of cable holes, seal them with caulk. Replace any damaged or missing attic vents and look for any other obvious cracks and holes that could be used to gain entry. 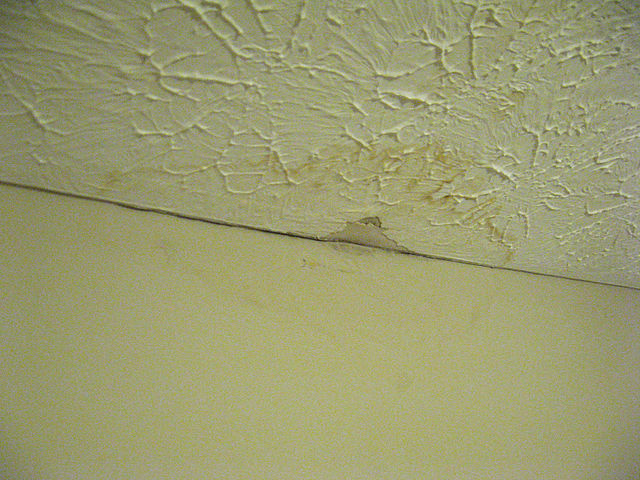 It is not just the threat of living creatures that can damage your home, moisture can be a serious enemy too. There are a couple of simple maintenance tasks you can carry out to keep moisture under control, which will cut the risk of damage to your home and discourage pests at the same time. Periodically check your gutters and downspouts to see that they are clear and water is running away freely. Also, don’t have trees and shrubs too close to your home as this can draw too much moisture and can even lead to structural problems. Most of the problems and threats you face as a homeowner are resolvable fairly easily, so think about how you can guard against these issues and keep an eye out for any warning signs so that you can act fast.